Modern letterpress invitation suite with custom water color and vellum inner envelope with flat printed guest names on outer tag. Classic, sophisticated & elegant. Watercolor artwork can be modified, customized or replaced with other artwork. 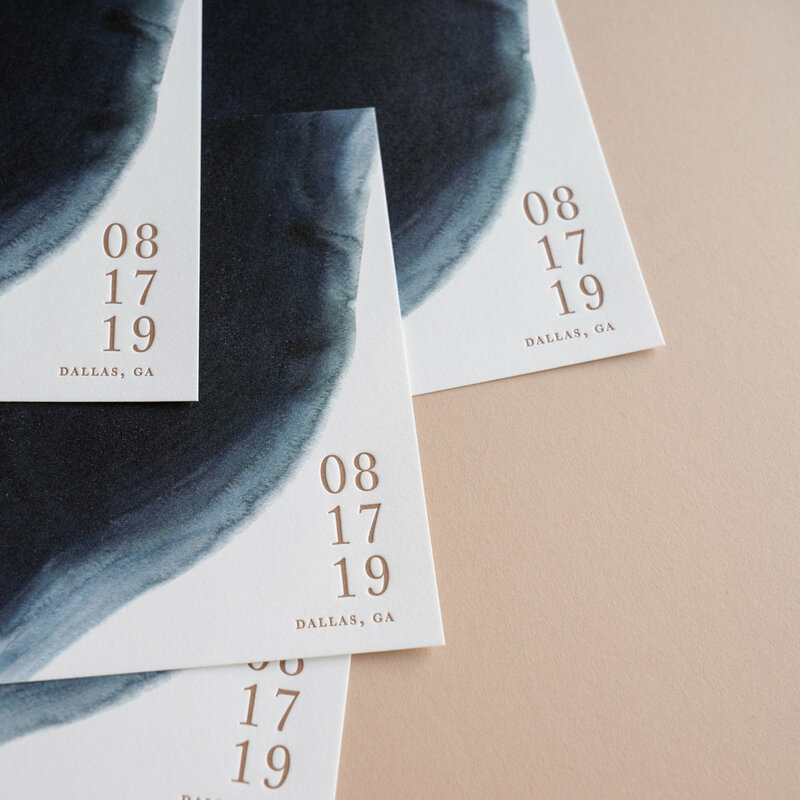 Most pieces have been flat printed and then letterpress printed in 1-color.